Not all bathrooms repairs require professional assistance. Bathroom repair has become an achievable goal for all of us. 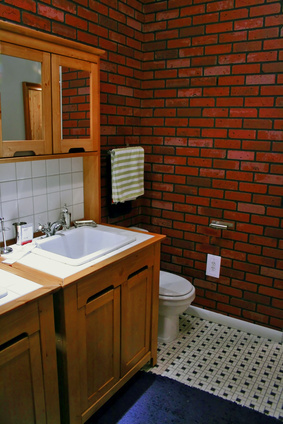 Thanks to do-it-yourself kits, many bathroom issues can be resolved without the cost of a plumber or interior designer. We use our bathrooms for relaxation and other natural needs. There are many simple, quick solutions to getting your bathroom in tip-top shape. Obvious bathroom issues are the most visible--dripping faucets, clogged drains, hard water stains and broken or chipped caulking. Some issues, though, are not so obvious and may need more attention. A leaky toilet can goes unnoticed can waste up to 78,000 gallons of water a year. Smelly drains are unpleasant and a mess to clean. Think the project through before starting. Failure to do so, though, could cause more issues. The first thing to consider would be the level of difficulty. If you're a true novice, seek professional advice before starting. Cost is the second consideration. In some instances, it's more cost-effective over the long term to replace an item than fixing it. Lastly, the old saying "time is money" is invaluable in a repair situation. Don't take weeks to fix a leaky faucet. The money wasted on water alone tips the scales from successful and inexpensive to lengthy and costly. Stopping a leak will save you money on your water bill each month. If your bathroom's aesthetics were the problem and now are resolved, the feeling of a relaxing bath is priceless. Addressing minor issues early can save a lot of inconvenience and money. Take a proactive approach in identifying obvious issues. Pouring dye into the toilet tank and leaving it overnight can produce signs of a leaky toilet if there's dye in the bowl. Not every issue requires help from an expert. There are many products, such as toilet balls, flappers and faucets that let you tackle simple repairs on your own. The idea that a plumber is needed for any and all bathroom issues is no longer the case. Do-it-yourself kits often get the job done at half the cost.